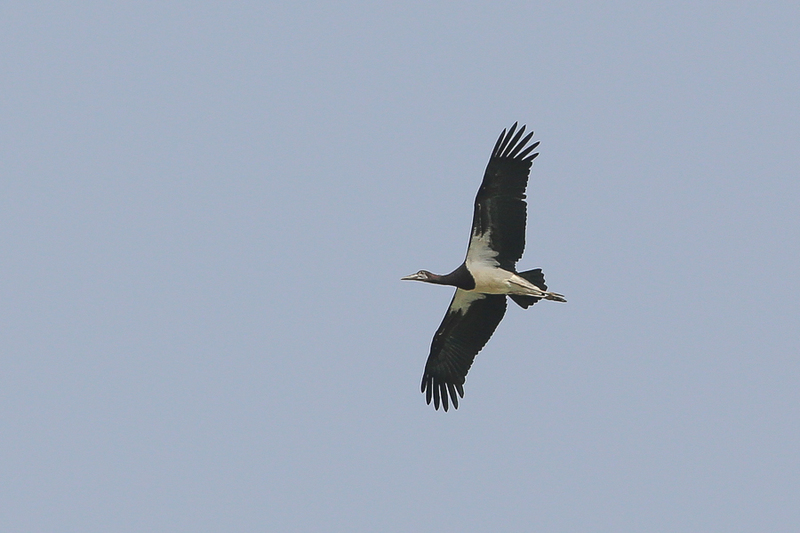 Whilst birding Sabya Waste Water Lagoons on 29 – 30 June 2015 I saw 26 Abdim’s Storks. 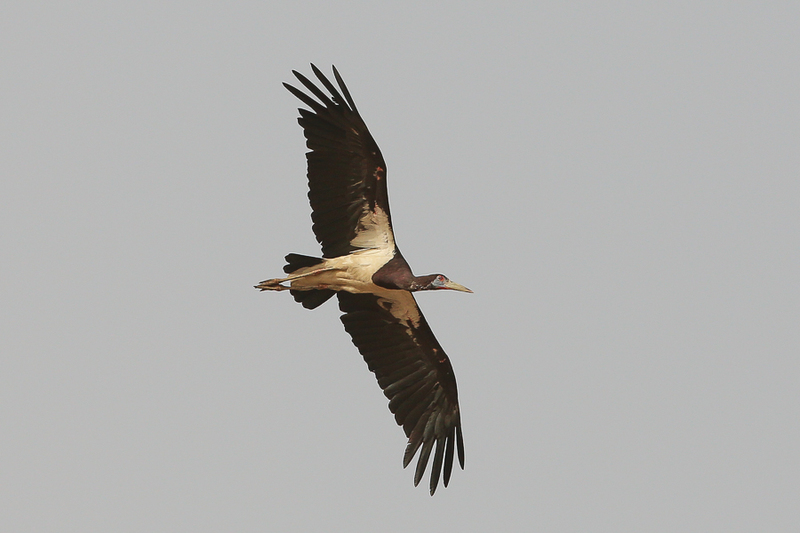 The birds were originally seen in flight at high altitude but were later seen on the Sabya Rubbish Dump in association with plenty of Black Kites. 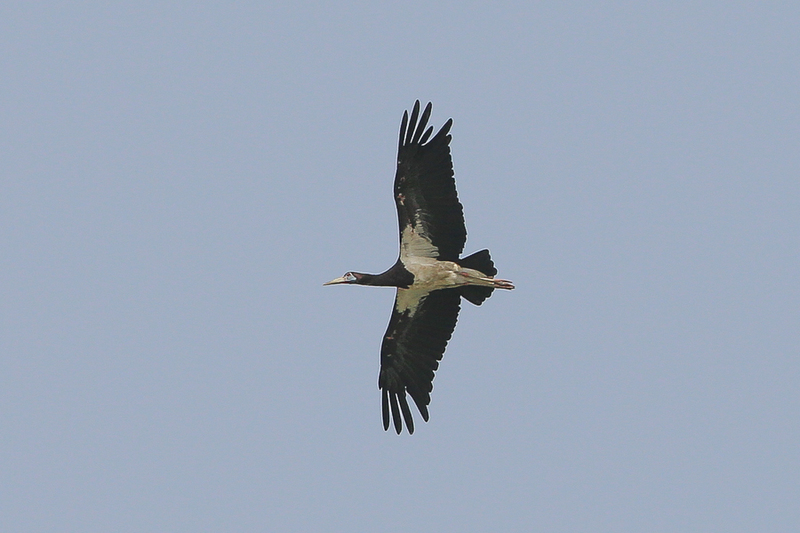 Good views were obtained and the following day I saw the same group of birds on the waste water lagoons themselves, but in a back area where I had not visited before. Birds are known to breed on telephone pylons nearby but I had failed to see any despite trying on a number of occasions. 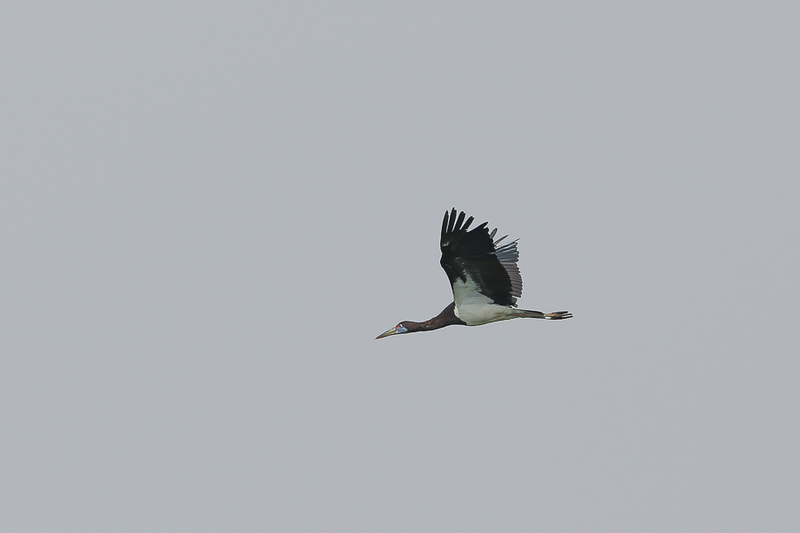 This was a new Saudi Arabian species for me so I was very happy with the sightings. 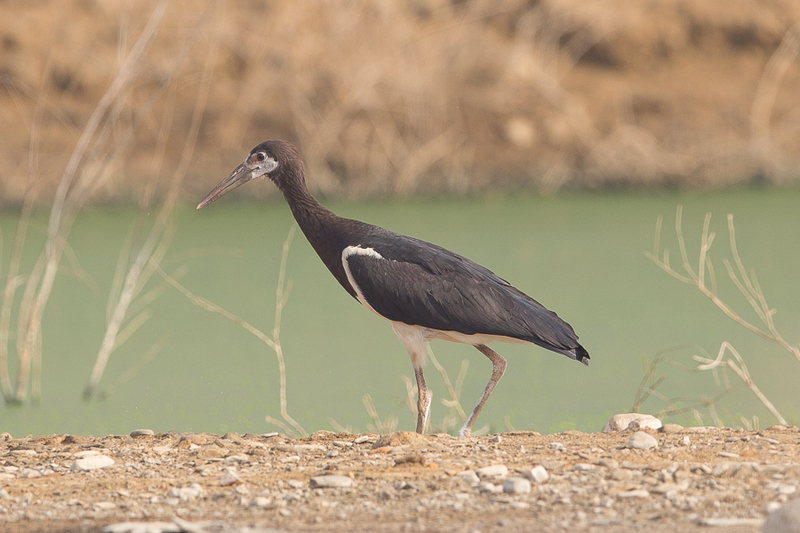 Abdim’s Stork Ciconia Abdimii is an uncommon resident breeding species of southwest Saudi Arabia and occurs from Africa south of Sahara, and southwest Arabia. 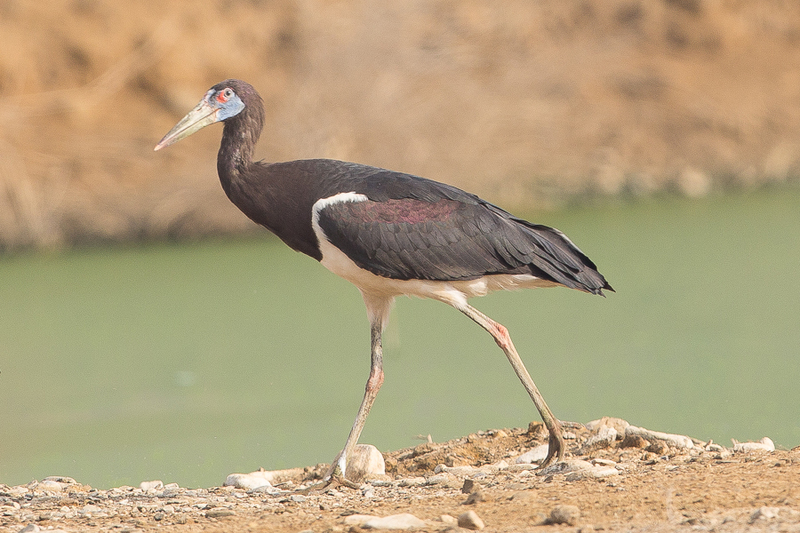 They breed north of the equator, with most of the population spending the rest of the year in eastern and southern parts of Africa. 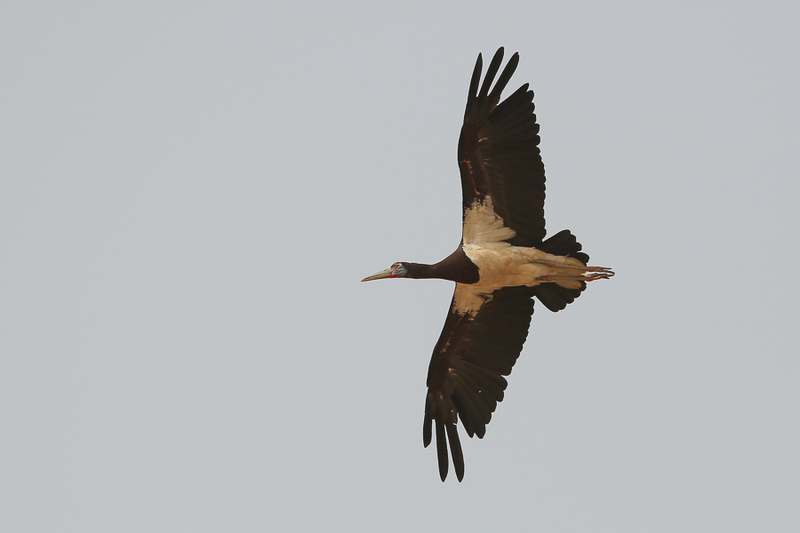 The male is slightly larger and they have glossed purple and green upperparts with non-breeding adults having the bare parts duller and immatures browner and duller still. 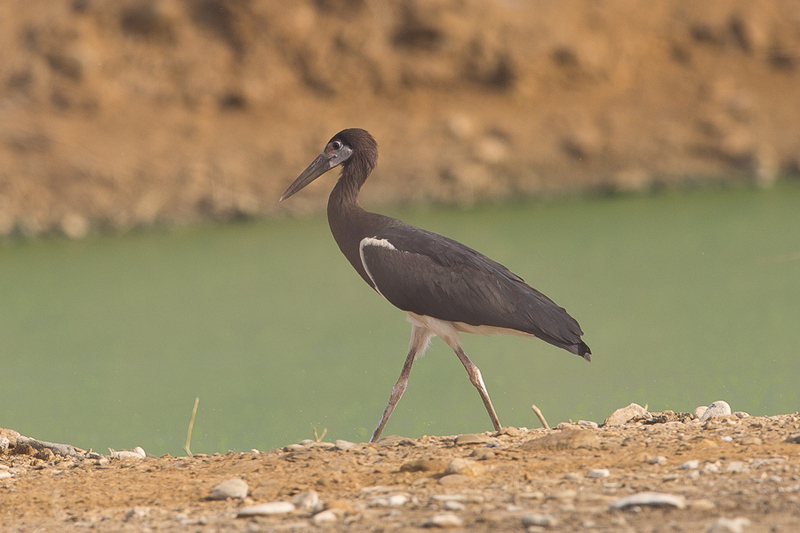 They are normally found in open grassland and also in areas of cultivation and often occur near water. 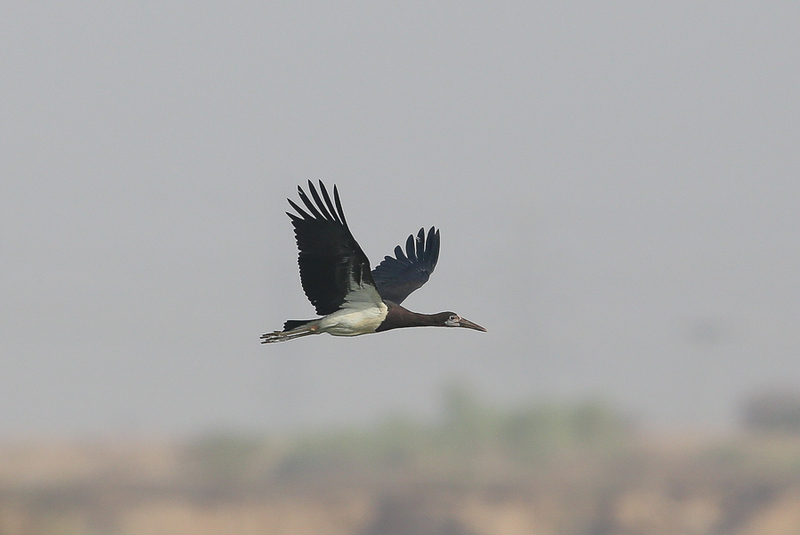 They mainly nest in villages as is the case in Saudi Arabia.